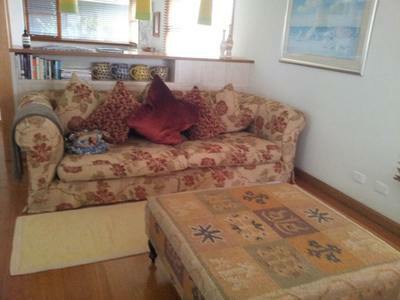 In our last stay in Apollo Bay, Victoria we discovered a delightful holiday resort named Beeches by the Sea. 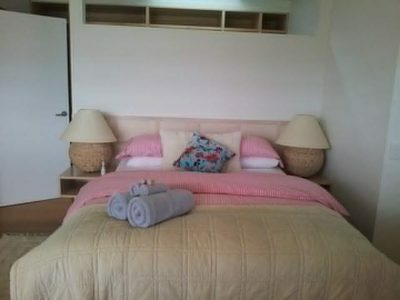 The resort offers one bedroom villa and two bedrooms villa, all painted in blue. The one bedroom villa is ideal for a romantic getaway while the two bedroom villa is perfect for a family holiday with the kids. The villas come complete with comfortable beds, comfy couches, television, dvd player, dvds, beautiful kitchens and bathrooms. 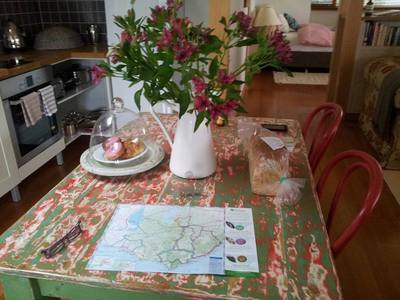 The rooms have been tastefully decorated with colourful lamps and lovely vases, boasting fresh flowers. The kitchen is replete with all the amenities including stove, cooking utensils, coffee makers, cutleries, plates, bowls, toasters etc. So feel free to cook up a storm if you please. Attention has been paid to the finest detail with the provision of shampoo, conditioner, makeup removers, shaving needs, hand balm, room freshener, tea, coffee, biscuits, hot chocolates. Bread, donuts, chocolates and beer are also some of the other unexpected delights. The rooms are quite spacious and in pristine conditions. There is a massive closet for storing clothes while ample provision has been made for bookworms. 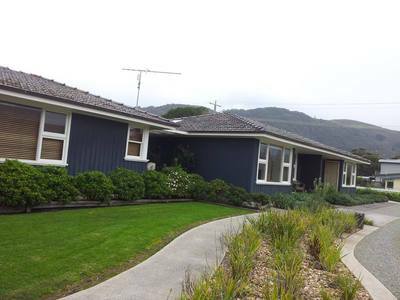 The front yard of this sanctuary is lined with beautifully trimmed bushes which burst into colours with blooming flowers during spring and summer. Cars can be parked in the garages on the premises. 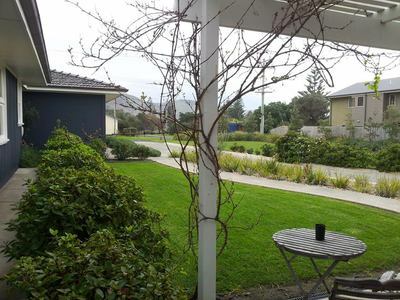 Nestled in the heart of Apollo Bay, this delightful resort is only minutes away from the beach and has a number of restaurants and a shopping strip within a stone's throw. The shopping strip includes surfing stores, clothing stores, convenience stores and even an Australia Post. The wide variety of cafes and restaurants has much to offer to all, including the ones with an indecisive trait. Options incorporate Mexican, Thai, Chinese, Fish and Chips and Pubs. Barham river flows nearby allowing enthusiasts to try their luck at fishing for brim, flathead and some other variety. Booking fees start from $175 per night for one bed room villas with prices changing with the seasons and times of the year. Contact them for available dates and rates. 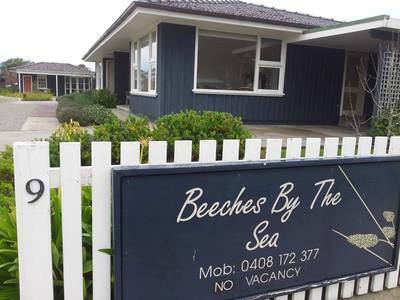 Bestowed with impressive beauty and soul-pleasing peace and quiet, Beeches by the Sea make an excellent destination for getaways with the loved one or with the family.